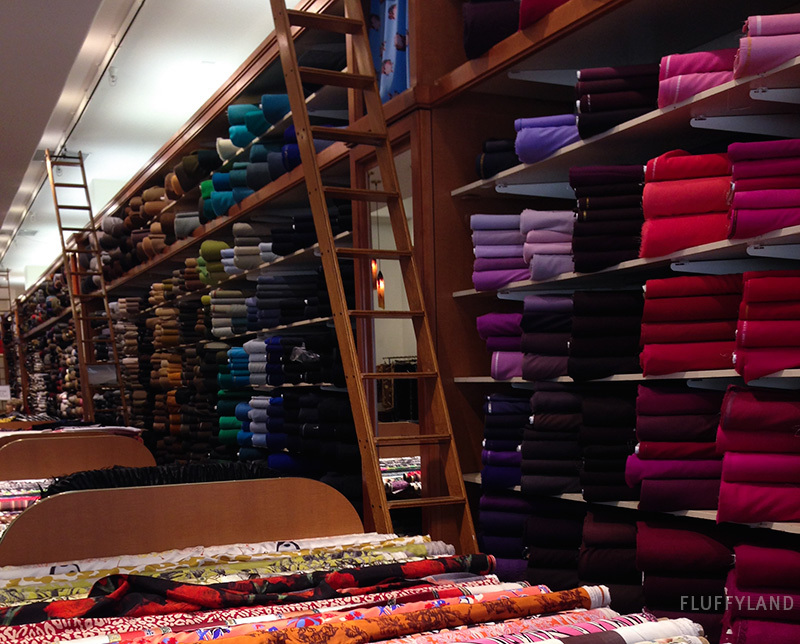 It’s no secret that I actively seek out fabric stores when I’m on a trip. 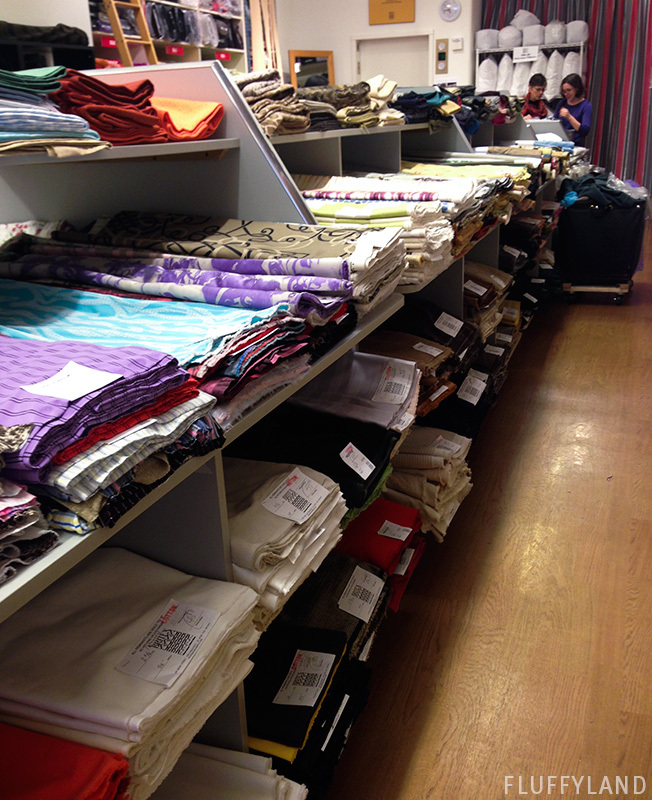 In fact, I might even say that traveling is simply an excuse to go fabric shopping in a new environment. 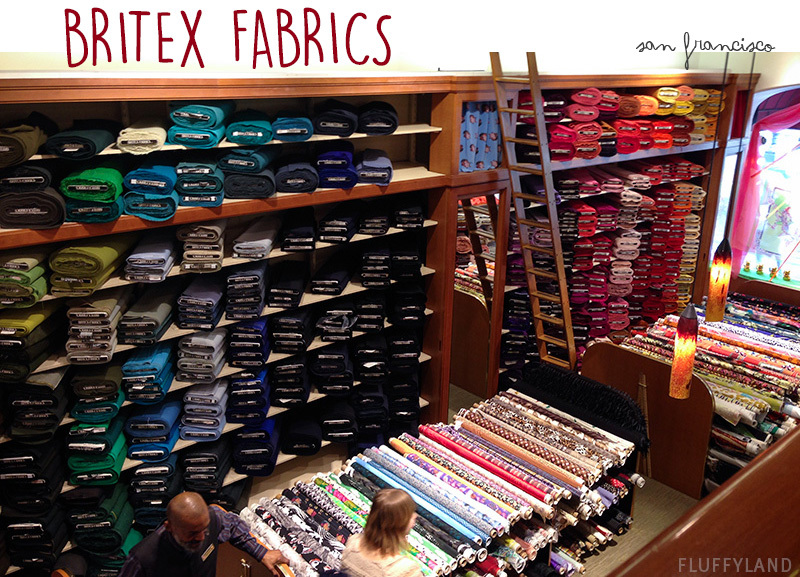 Fabric stores feel like a little bit of heaven mixed with a little bit of home. 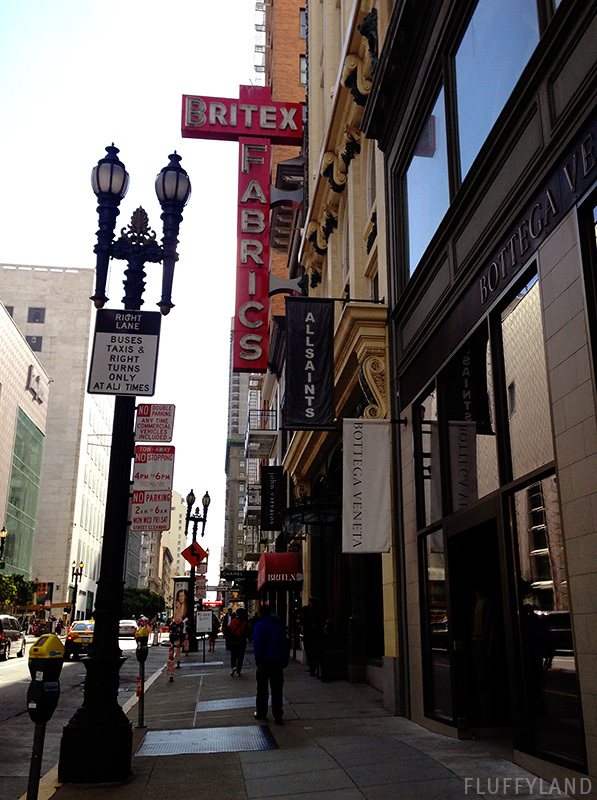 San Francisco’s gem of a fabric store is Britex Fabrics. It’s huge (4 floors! ), fancy, and packed with everything you could ever want. I visited San Francisco, a delightfully walkable city, in mid-May. As I approached the entrance to Britex and noticed the giant red sign, I knew I was going to like this place. The ground floor features rainbows of wools and silks. They use library ladders to reach the highest shelves – can you imagine? It’s like Belle’s library but with fabric in place of books. 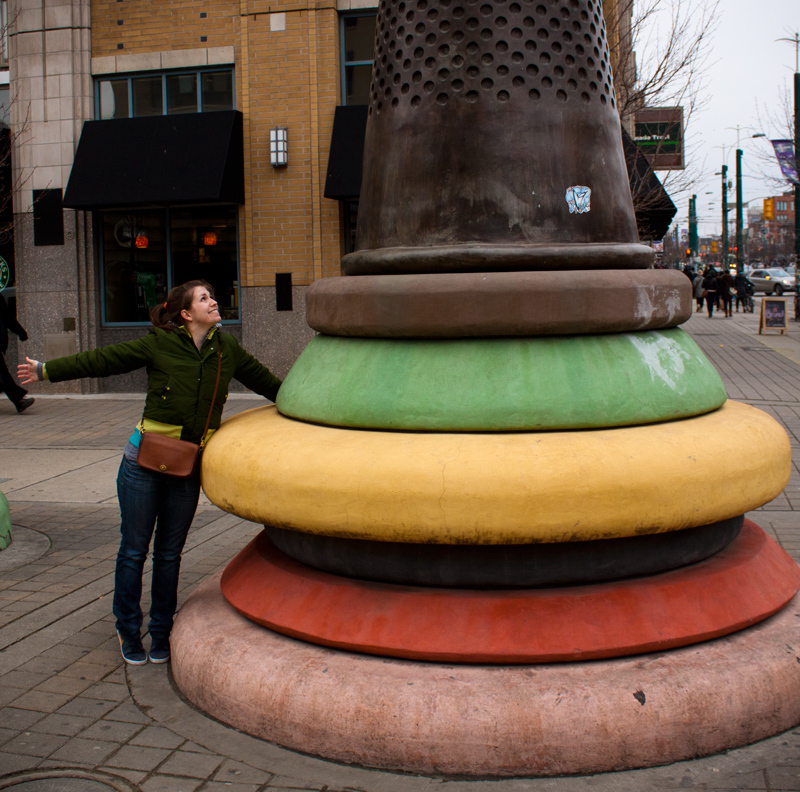 This is what dreams are made of. The second floor houses home décor and cottons. I poked around the print cottons and considered a few, but this is where I must be frank: I’m bad at buying expensive fabric, and I’m terrible at summoning the strength to cut it once I bring it home. I was simply exploring, with no project in mind, so I continued onward. Floor 3 felt the most like a candy land. 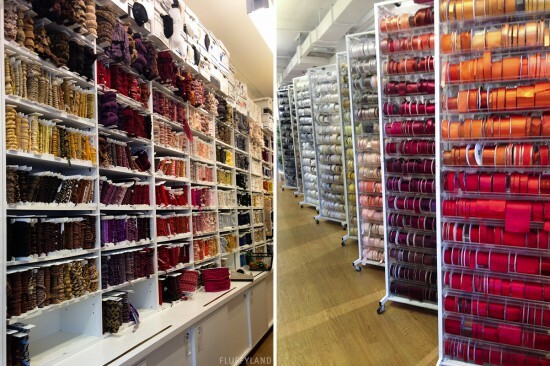 Walls of trims, racks of ribbons, and buttons of all colors and shapes. The ribbons were available in every imaginable hue. Another great fabric stop – where I actually bought some fabric! 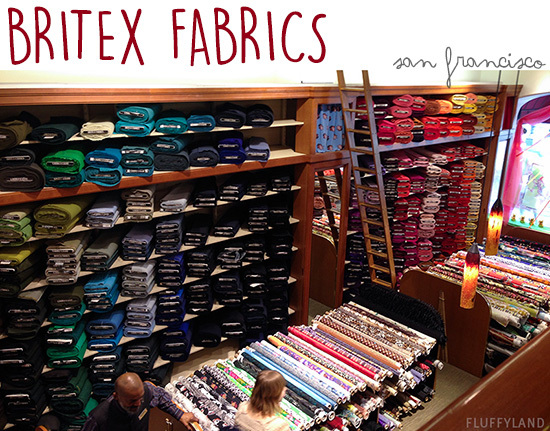 – was Fabric Outlet in the Mission district. 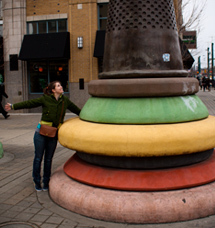 Not as photogenic, and the area is questionable (careful! ), but the store is an enormous basement filled with some of everything. 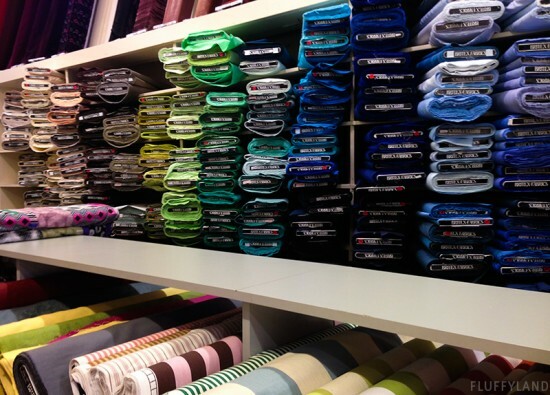 Acting fancy at Britex and staring open-mouthed at the gorgeous fabrics was fun, but treasure hunting is my preferred way to shop… I like a little bit of a challenge, and I love to dig to find the best fabrics. 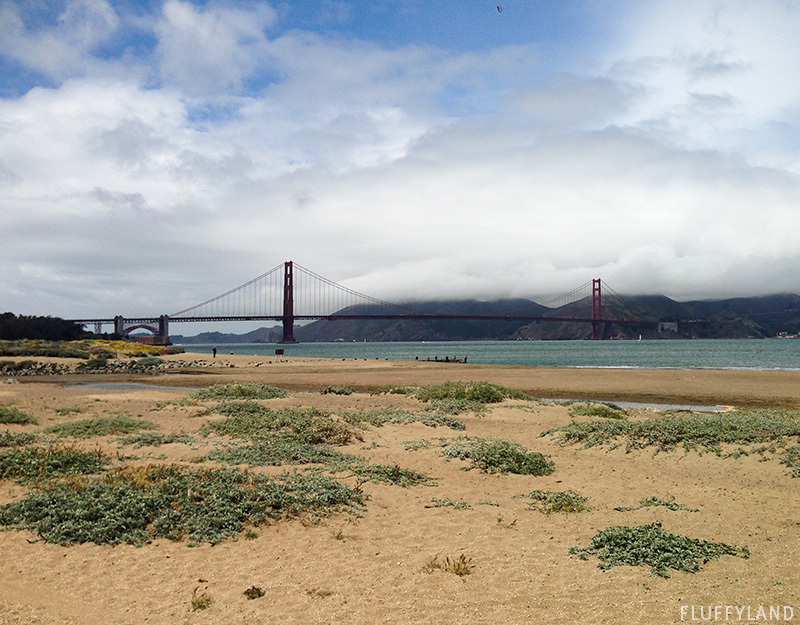 And who can visit San Francisco without taking a million pictures of this thing? It’s so pretty.